The verdict is in, and global markets think Fed Chair Janet Yellen's prepared statement on Wednesday morning was dovish. Yellen signaled that the Federal Reserve won't rush to tighten monetary policy, citing inflation that's continually lagged its target. 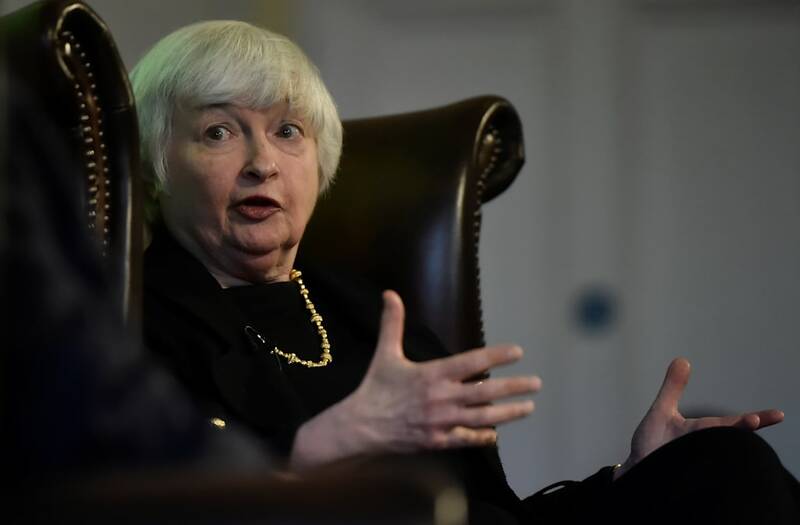 Her comments echoed ones made on Tuesday by central bank governor Lael Brainard, who expressed caution when discussing the pace of future rate hikes. The message was all traders needed to push the US Dollar Index within 0.2% of its lowest level this year. Currencies generally weaken relative to peers on domestic monetary policy that's construed as accommodative. To the contrary, they rise when it's signaled that the money supply will be siphoned off. The Dollar Index fell as low as $95.51 immediately after the publication of Yellen's statement. The only other intraday move lower than that came on June 30, when it sunk to $95.47. The gauge erased the loss and was trading less than 0.1% higher as of 9:30 a.m. ET. Yellen's statement also pushed the S&P 500 higher. It's up 0.5%, after futures on the index traded just slightly higher before the Fed chief's comments. Elsewhere in markets, the benchmark 10-year yield is lower by 5 basis points at 2.31%.